We originally posted this when the first three lawsuits were filed. There have been two additional ones since then. Here is the memo with the most recent updates. 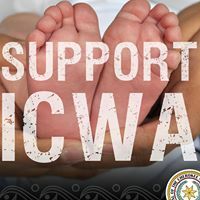 The National Indian Child Welfare Association (NICWA), the Native American Rights Fund (NARF), the National Congress of American Indians (NCAI), and the ICWA Appellate Project at Michigan State University College of Law—collectively known as the ICWA Defense Project—are working collaboratively to defend ICWA and the long overdue reforms to it introduced this year. This memo will summarize the pending litigation and describe some of the legal and communications strategies these partner organizations have developed to inform, advance, and unify a coordinated effort across Indian Country to respond to these attacks. Here is a link to the page where we are keeping all of the PACER documents. An Interior spokeswoman said Congress has determined it “is in the best interests of an Indian child to keep that child…with the child’s parents,” extended family and tribal community. Kathryn Fort, a lawyer with the Indigenous Law and Policy Center at Michigan State University, defends the law and the guidelines. Ms. Fort said that before the law was passed, social workers would argue that it was in the “best interests” of an Indian child to be permanently removed from a house that was merely messy or lacked the most modern conveniences. “It’s really a way of allowing—and perpetuating—discrimination against Indians,” she said.